among other enumerated concerns about Afghanistan, enacted Resolution 1333 on the situation in Afghanistan. 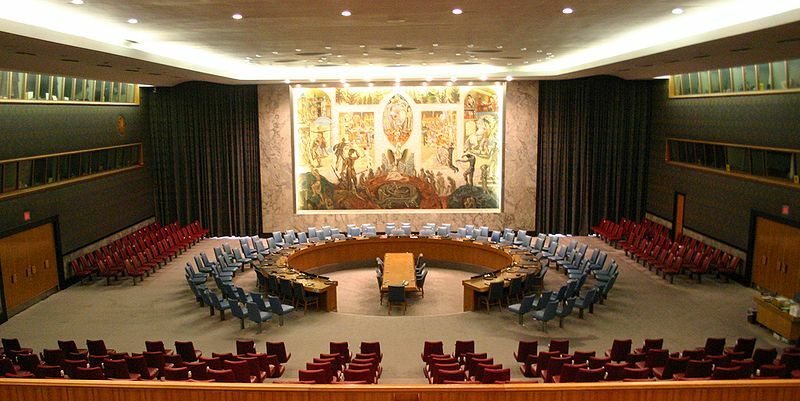 (photo credit) The resolution invoked the Council's coercive powers under Chapter VII of the U.N. Charter, and demanded both that Afghanistan shut down terrorist training camps and "turn over Usama bin Laden to appropriate authorities." It did not, and 9/11 would occurr fewer than 9 months later.